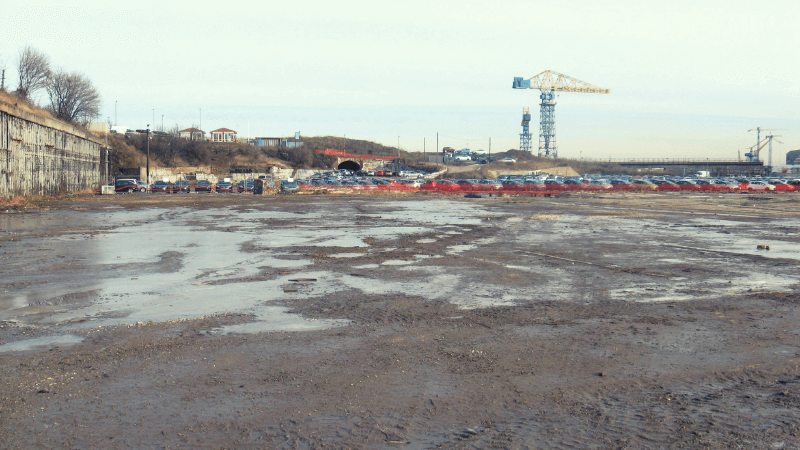 In 2008, Shepherd Offshore acquired the site of the former Neptune shipyard and associated additional land. 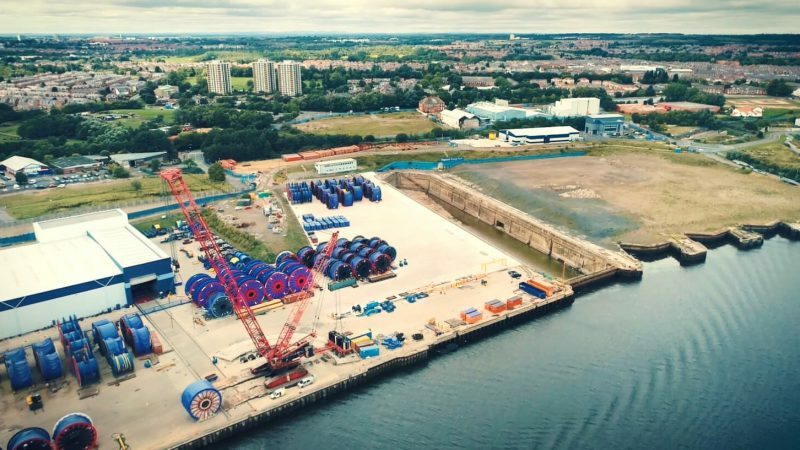 Following the acquisition of Neptune Energy Park, Shepherd Offshore started a multi-phased remediation of the entire riverside site in in partnership with Elliott Associates and O’Briens. This enabled the fast-track development of bespoke specialist manufacturing units on the park. 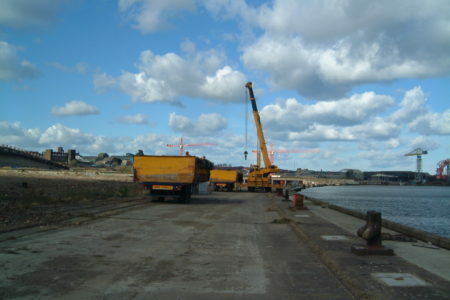 The work undertaken included the demolition and asbestos removal of redundant structures, the remediation of the land with the removal of relic underground structures, the closure and sealing of three dry docks, the construction of a new quay wall, heavy load out pads and heavy industry floor slabs. All resulting material that exceeded 75,000m³ was crushed and reused as crane pads, floor slab sub-bases and roads. Additionally, the river Tyne was dredged, removing 30,000m³ of silt using a specialist dredging barge and environmental bucket. 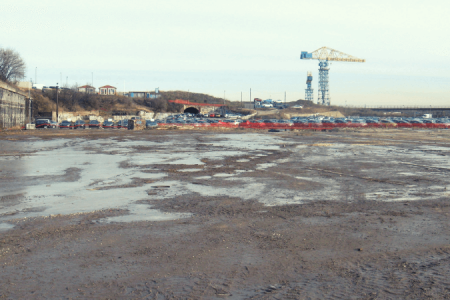 Once removed from the river, the silt was treated using a specially designed lime stabilisation process, so that it could be diverted from landfill and used to backfill the three dry docks. This phase saw the construction of a new, 52,423ft² specialist high bay manufacturing facility with additional 7,000ft² of bespoke office accommodation. Occupied by the GE-Baker Hughes European Research and Development Centre, the building achieved a BREEAM Very Good rating and includes the operator’s specifications for specialist ventilation, lighting and life safety systems. 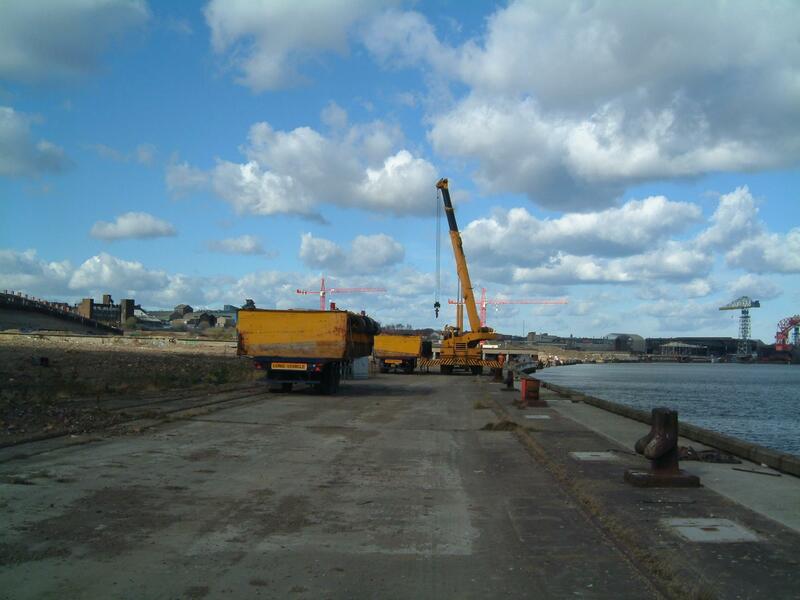 Specialist demolition and removal of existing concrete slipways. Permanent closure of existing slipways to provide extended quay frontage. Infilling of existing slipways to provide re-engineered development platform, utilising site won material. Earthworks remodelling of the Phase 2A site of circa 6.5 hectares (16 acres) to provide a suitable development platform for a large specialist manufacturing building and extended quay services area. This phase saw the construction of a new 86,000ft² specialist high bay rope manufacturing facility, with additional 2,500ft² of bespoke office accommodation. The building is occupied by Bridon-Bekaert The Ropes Group, a world-class ropes and advanced cord manufacturer supplying the Subsea, Oil and Gas, and Energy markets. The building was designed to accommodate significant process machinery, including the largest rope-winding machine in the world. In addition, the facility includes a heavy load rail track system, which provides direct access to the quay edge and facilitates reel movements direct to vessels. 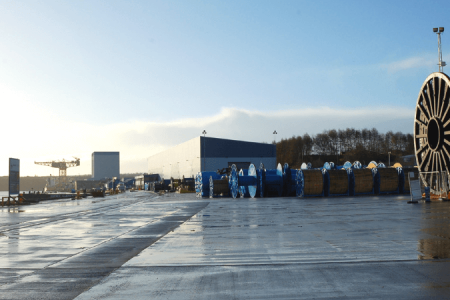 This phase saw the construction of a new, 28,000ft² specialist manufacturing facility, with additional 7,000ft ² of bespoke office accommodation for IHC-FHP, a world-leading manufacturer supplying electro-hydraulic systems to the Subsea, Oil and Gas, and Energy markets. Preparation of remainder of Phase 1 Site to accommodate NEP Office Building and Quay Services Area. This phase saw the construction of a new 5,000ft ² two-storey office facility with additional of ancillary service accommodation. This building is occupied by Shepherd Offshore Services Ltd who provide a full range of quay management services to NEP occupiers and other partners in the Subsea, Oil and Gas, and Energy markets. This phase saw the construction of a new, 19,500ft ² specialist fabrication facility with additional 500ft² of bespoke office accommodation. 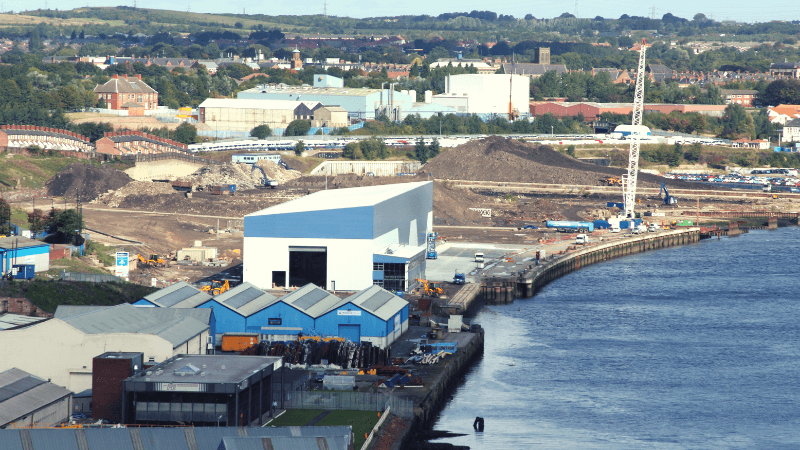 The infrastructure enabled the development of the remainder of the Phase 2B Site to accommodate a potential new specialist Hyperbaric Testing facility for Newcastle University. This phase saw the construction of a new 4,500ft ² specialist high bay testing facility with additional 5,000ft ² of bespoke office accommodation. This building accommodated a vertically orientated high-pressure test vessel, which is largely subterranean. Occupied by Newcastle University, the building provides world-leading high-pressure testing facilities for the subsea, oil and gas, and energy companies in partnership with local companies. This phase saw the construction of a new 19,500ft² specialist fabrication facility, with additional 6,500ft² of bespoke office accommodation. The building’s occupants are JDR Cable Systems Ltd, manufacturers of electrical cable solutions in the subsea, oil and gas, and energy markets. The preparation of remainder of Phase 2B Site to accommodate potential new specialist training facility for JDR Cables. Construction of specialist deep-water test tank facility to provide subsea-testing facilities. 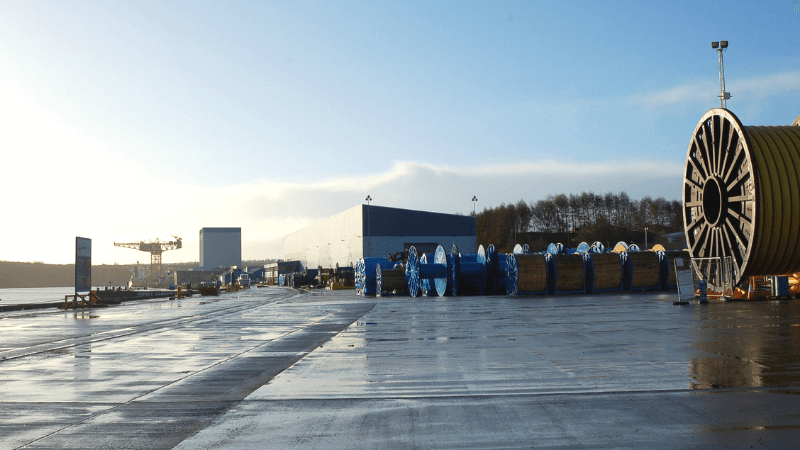 To date, Shepherd Offshore Group has delivered approximately 250,000ft² of specialist manufacturing and commercial office space at Neptune Energy Park. The success of this remediation is a result of the hard work and efficient teamwork of all parties involved. 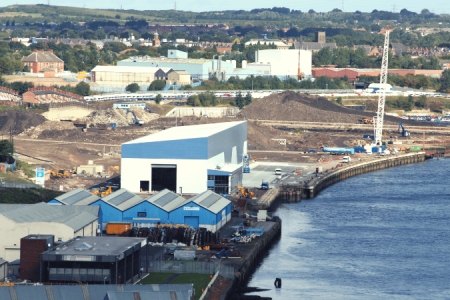 We would like to take this opportunity to thank the partners, stakeholders and local authorities for breathing life in to a formerly redundant shipyard and restoring its historical significance, as well as creating work opportunities for the people of Newcastle upon Tyne.